Years between 450SX wins for Justin Barcia. 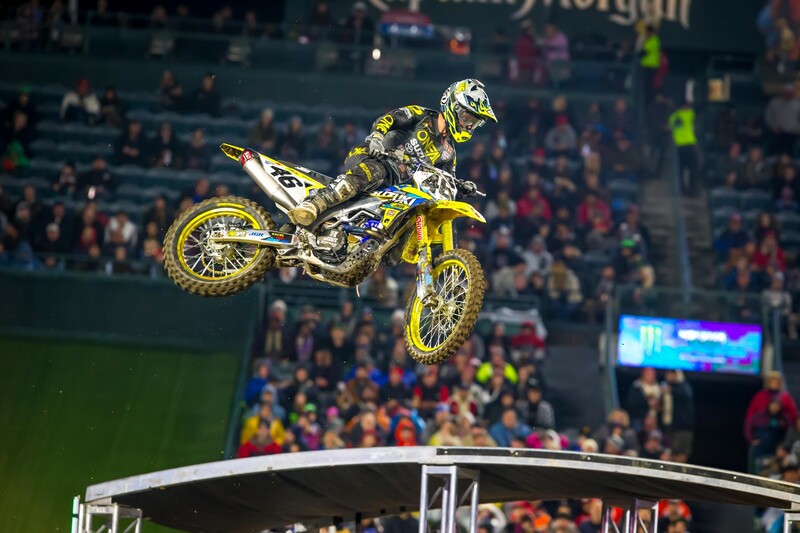 Prior to Anaheim 1, Barcia’s last win came at Seattle on April 20, 2013, his rookie year in 450SX. Years between 450SX wins for Yamaha. The last Yamaha rider to win prior to Anaheim 1 was James Stewart at Daytona in 2012. Straight years Chad Reed has made the main event at Anaheim 1, most all-time. Reed broke a tie with Mike LaRocco on Saturday. Age of Reed at the season opener. With his main event appearance on Saturday, he is now the oldest rider ever to make a premier class main. Barry Carsten (36 years, 5 months, 9 days) previously held the record. Hat tip to Racer X contributor and founder of We Went Fast, Brett Smith, for the stat. 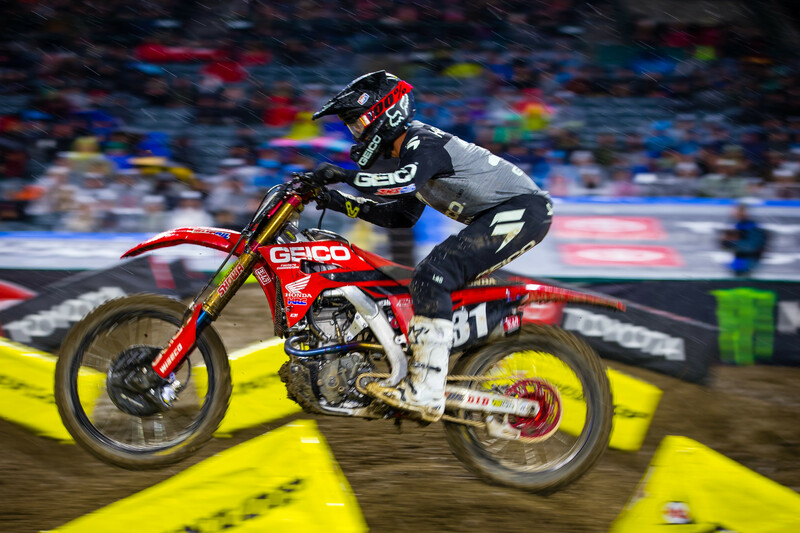 250SX main event appearances for Colt Nichols before capturing his first career win at Anaheim 1. Of 16 laps led for Nichols in the 250SX main event on Saturday. 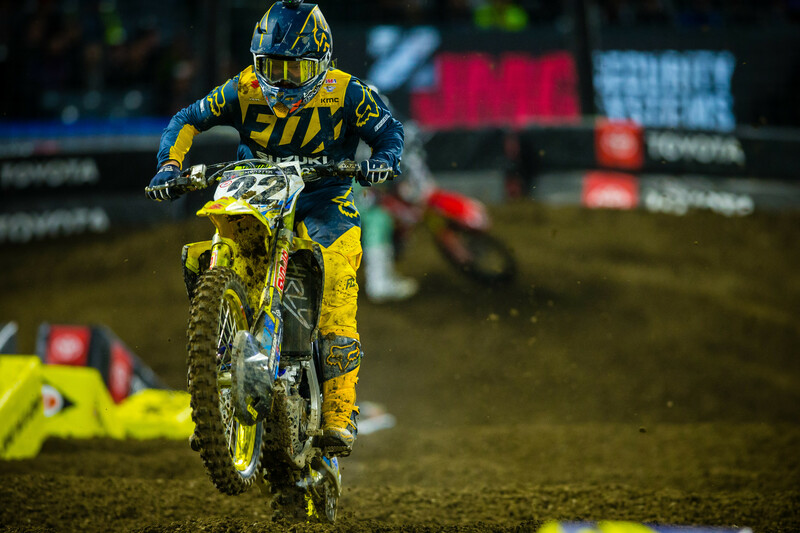 Of 20 laps led by semi-privateer Dean Wilson in the 450SX main event on Saturday. Wilson would eventually finish fourth. 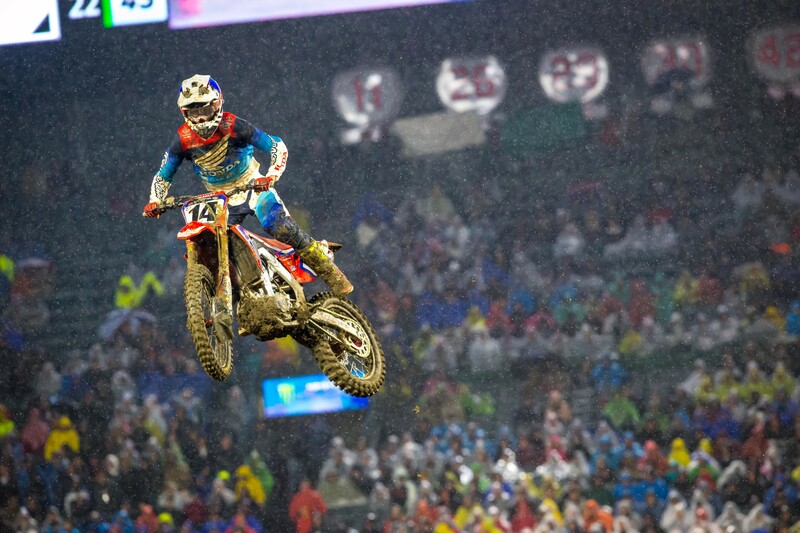 Career podium appearance at Anaheim 1 for Eli Tomac, which came on Saturday night. Tomac’s best finish prior to Saturday was a fourth in 2016. He did win A1 in the 250 class in 2013. "A1 is in the books. Waking up this morning not gonna lie I’m slightly disappointed. Just because I felt like I had the best opportunity to win that race leading 15 minutes but then ran into lappers, and lost my rhythm and goggles last 5... just needed 5 minutes in me!! (That’s what she said) ? ?Anyways I can’t be to greedy. I have came a long ways recovering from double ACL reconstruction on each knee and worked hard with good people and will continue to! 2nd in timed qualifying, 2nd in heat, led laps and 4th in main. That’s a great start. Once again I was blown away with all the support! Thank you all for supporting teamDW15"
"What a night. Can’t believe this was my first A-1 race in the 450 class. It will be one to remember that’s fors ure. It was good to be back under the lights racing in front of you guys, I was nervous i won’t lie haha! But we got a long season ahead, we just gonna take it race by race and have fun this season." "Man yesterday did not go well... kinda overwhelmed with everything going on and wasn’t myself at all. Looking forward to bringing it back around in the next rounds and really want to thank my crew for all the support no matter how i do. Sorry guys but still looking forward and ready to give 110% the rest of the season! Also shoutout to my good friend @deanwilson15 for absolutely crushing it!" Moving forward, we will not be doing our weekly “Sign of the (Lap) Times” feature on Racer X Online, which has run since 2006. Instead, we will feature some lap data in Redux this year. Even with Zach Osborne sidelined for the next few rounds due to a collarbone injury, the 450 rookie class is one of the deepest in recent memory. 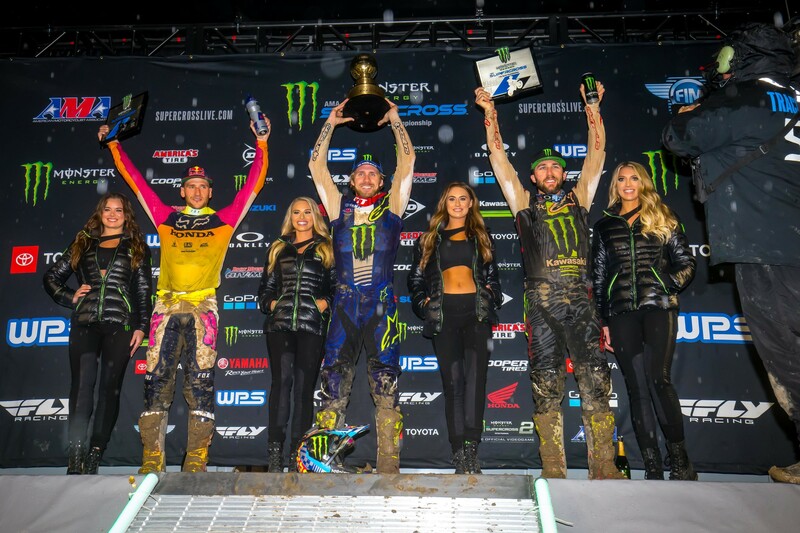 In fact, the group of four—Osborne, Joey Savatgy, Aaron Plessinger, and Justin Hill—have the most combined 250 wins (25) since 2013, when Eil Tomac, Ken Roczen, and Justin Barcia entered the class full-time. They had a combined 28 250SX wins. "I've been working so hard this off-season and feel really comfortable on the bike, but the weather made quite the challenge for us. I had a tip over on the bike and some issues with my goggles in the rain, but I remained focused on finishing the race to my best ability. We have a long season ahead of us, I'm looking forward to getting back on the bike and continuing to grow and improve." 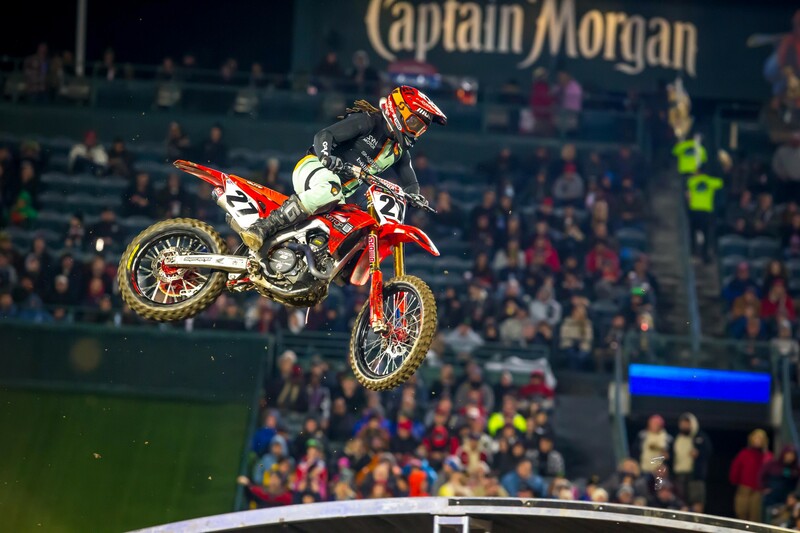 The 250 class also saw a pair of rookies make their Monster Energy AMA Supercross debuts. Monster Energy/Pro Circuit Kawasaki’s Garrett Marchbanks had a sneaky good sixth place finish, while JGR/Yoshimura Suzuki’s Enzo Lopes finished 15th. Tough opener for the Gas Monkey/AJE Motorsports team, as both Justin Starling and Dylan Merriam had big crashes. Starling went down in qualifying and was taken off the track by the Alpinestars Mobile Medical Unit. He didn’t return to practice, but having already qualified for the night show, he attempted to race his heat but only made it two laps before calling it a night. He wrote on social media that he was having a lot of pain in his right hip area. We will update his status for Glendale later this week. Meanwhile, Merriam had a big crash in his heat and the LCQ and did not make the main event. He wrote on social media that nothing was broken and that he will race this weekend. Osborne had surgery last week to remove a plate from his collarbone and replace it with a new one. He wrote on social media that he’s already back training, so we may see him back on the track sooner than four to six weeks. Racing for the enjoyment and adrenaline, Chad Pojar is all smiles at our events.